Big Wheel vs. Small Wheel Scooters - Motorcycle Safety Institute of S.A.
Scooters are often used as a way to get around that’s both good on fuel as well as easy on the pocket. They generally weigh less than motorcycles but are also slower. However, the type of wheels that you have on a scooter, whether they’re big or small, can make a lot of difference. There is no doubt when you think scooter the Vespa “look” is more like what you’d expect but you’ll find scooter wheels are getting larger and larger. Take a look at SYM’s Symphony 125cc & 150cc Scooter, and also at the SYM Crox Scooter wheel profiles. The SYM Symphony is fitted with big diameter wheels, where other Chinese and Korean brands are fitted with Small Diameter wheels. The SYM Crox may be a smaller diameter than the SYM Symphony, but the width of the tyre differs and adds to the stability and handling. More common these days are that scooters are getting 12” and 13” inch wheels. So what is the advantage? In a word handling. Small wheels and tyres make for incredibly quick steering. Perhaps a bit too much so which could make the scooter very unstable at higher speeds. It’s not as big a factor at slower speeds but the more powerful the scooter the faster it will go and the more likely instability could occur. Ever used roller blades or a skateboard? Not much fun when those little wheels jam on a pebble and throw you down is it? Well, the same applies to scooter wheels. Small wheels transmit bumps and jolts to the rider much more severely than larger ones do. The larger the wheel the larger an object it can roll over without ill effect. Larger wheeled scooters also seem to have a bit more ground clearance for cornering and a slightly larger contact patch on the road (Although some small wheels have obscenely wide tyres like the Yamaha Bee Wizz and PGO T-Rex). Other factors include road hazards. 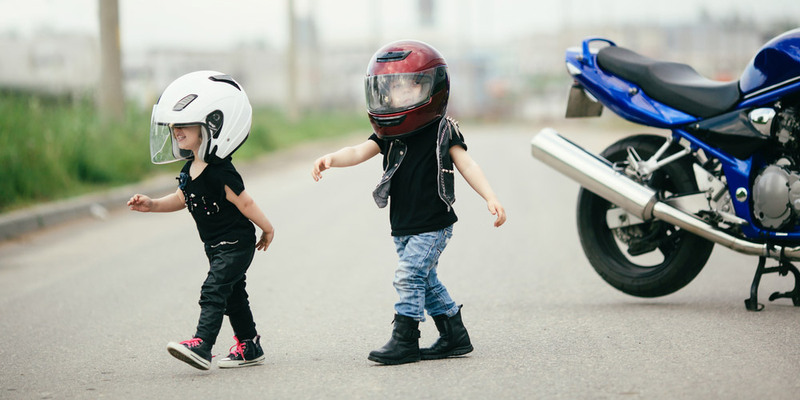 You’ll find uneven road surfaces, cracks in the road, low shoulders and more are all very dangerous to motorcycles in general but especially to ones with small diameter wheels. I’ve also noticed a big difference in the reaction to loose gravel or rain between smaller wheeled scooters and larger. You are much more likely to lose all traction to the front tyre under braking on a small wheel bike than one with big wheels. Larger tyres tend to be a bit more durable too. When you take a 150cc scooter with 10” wheels and one with 16” wheels it seems the smaller tyre wears out faster. Mostly this affects the drive tyre. Smaller wheels do offer poorer handling than larger wheels do, however. The width of a tyre more than its diameter is important when discussing handling because the wider the tyre is the more area of the ground it’s touching. The better the tyre’s contact with the ground, the more control the rider will have while riding the scooter. As such, smaller wheels will be harder to control than larger wheels on any sort of ride, whether it’s smooth or rough. So what are the disadvantages to large tyres? Mostly onboard storage. When you put larger wheels on a scooter the engine moves forward, the fuel tank usually ends up in the floor platform of the scooter and the battery gets shoved forward. This means under seat storage suffers. This is overcome by the addition of a top box mounted to the rear rack. Also if your heart is set on a “classic” look, most large wheel scooters have a more contemporary design. Personally, I will stay very far away from a Small Wheel Scooter, if they were so “good” or “stable” why don’t they make Small Wheel Super Bikes or Dual Purpose Bikes. I rest my case; Small Diameter is for coins not for bikes. Choose wisely, for the sake of your own safety! So the choice is yours. There are millions of tiny wheeled scooters out there. Experience and training will allow you to operate them safely. They are best suited to slower situations but with care can be ridden faster. Larger wheeled scooters are usually a bit more confidence inspiring and ride a bit better over a variety of road conditions. You can push them a bit harder in corners and they are just a tad more forgiving. Just laying it out there for your consideration; rather pay little more for a good quality Big Diameter Wheeled Scooter than compromising safety. Ride safe!